HXN5 0015 set out from Meitian on 19 November 2016 with a string of loaded coal wagons delivered earlier by Wujiu’s DF4DD. The HXN3 and HXN5 diesels marked a major change in China’s locomotive development policy in being joint ventures with the major American manufacturers, EMD and GE respectively. The HXN5 is a GE ES59ACi rated at 6250HP and built by Qishuyan under licence since 2008. 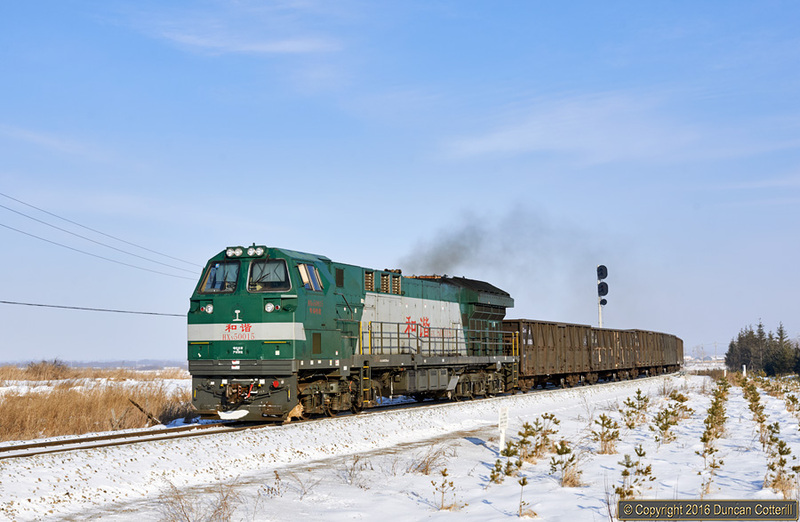 The class works much of the freight traffic on the busy Manzhouli - Harbin - Mudanjiang axis in north-eastern China.